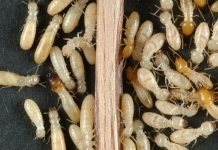 Pests are not only something that make you go ‘eek’, they are also actually destructive and can threaten your health and soundness of the structure that you live or work in. 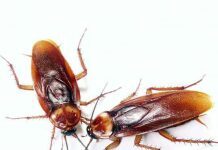 Pests such as cockroaches, mice, rats, flies and ants may be destructive to your furniture, food, clothes, books and other valuable or important things. 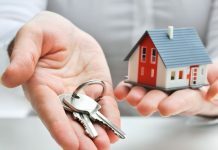 Prevent Access: Most pests gain access to your house from the outside, and the key is to prevent this access, either because homes are sources of food or because they offer shelter against the elements particularly when the weather is changing, pests will try their best to invade your home. Sweeps and thresholds on doors leading out sealing of utilities where pipes and wires enter the foundation, caulking cracks around doors, windows, keeping all breakages and rips in good repair, putting meshes in place at appropriate entry points will all go a long way to disable entry of pests into your home. Make sure that all vents are also properly secured to prevent entry. Organize; Reduce Clutter: Cluttered areas of the house tend to collect dust and dirt which are ideal environments for pests to live and multiply. These areas of clutter would typically remain undisturbed for long periods, providing a haven for all sorts of insects and other pests to remain happily and undisturbed. An organized, clutter free home is not only a joy in itself, it is anathema for pests. Make hygiene and cleanliness a priority: Crumbs on the floor, food lying around, particularly uncovered food, and dirty dishes can all attract the pesky pests. So wipe down surfaces, particularly in the kitchen, don’t leave dirty dishes lying around, and wipe out the kitchen sink each night so that there is no residue there which will be food for the pests. Even a few crumbs left lying around are a belly full for a tiny mouse and will feed a sizeable ant colony as well. Make sure they don’t come in with the food: Grain moths, weevils and beetles, will invade your home unbeknownst to you and may then be impossible to dislodge. Some of these can actually be inside the flours and grains that you buy from the grocer. Store whatever possible inside the fridge so that the pests don’t multiply and if possible store them in the freezer which will kill them. Home pest control service rooted in science; Effective and Affordable.